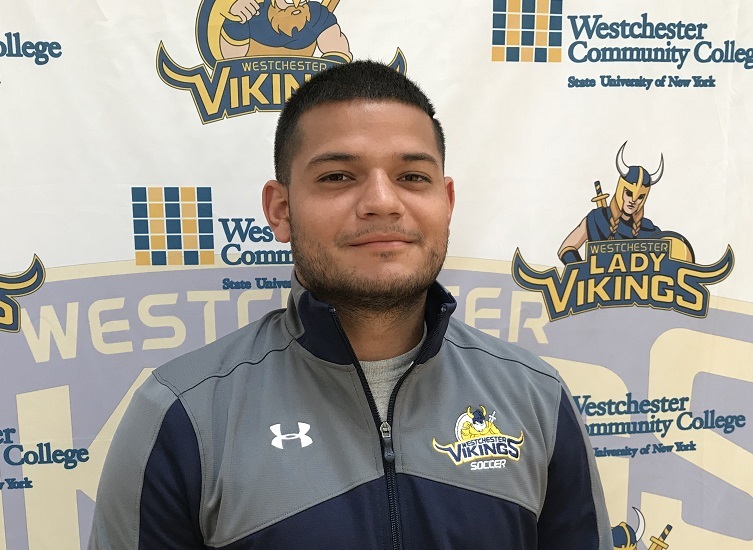 Luis Galeano of Westchester Community College was named the Most Valuable Player of the Mid-Hudson Conference Men’s Soccer 2018 season. Galeano help propel the Vikings to a 3-0 conference record and 8-3-1 overall record. Selected to the All-Conference first team are Christopher Hearn (Rockland), Kevin Nunez (Ulster), Franco Ladron De Guevarra (Westchester), Guilherme Griza (Westchester), Mohamed Yusuf (Dutchess), Andrew Markoe (Dutchess), Riley Lake (Ulster), Leonardo Vargas (Westchester), Wes Cruz (Ulster), Ali Ali (Rockland) and Peter Mongan (Rockland). 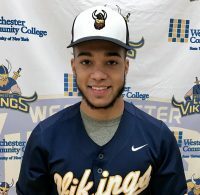 Selected to the All-Conference second team are Jose Tover (Westchester), Rockine Henry (Rockland), Mark Frascello (Orange), Witcliffe Cunningham (Ulster), Eric Boeteng (Orange), Mason Rickli (Orange), Manuel Alfonso-Jimenez (Dutchess), Oscar Larviega-Antonio (Dutchess), Matthew Blair (Rockland), Miguel Perez (Westchester) and Patrick Frascello (Orange).